Beech Firewood - Is It Any Good? Is beech firewood a good firewood choice? 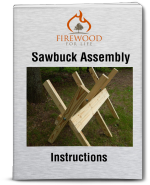 Yes.....in fact it's one of the best firewood types. 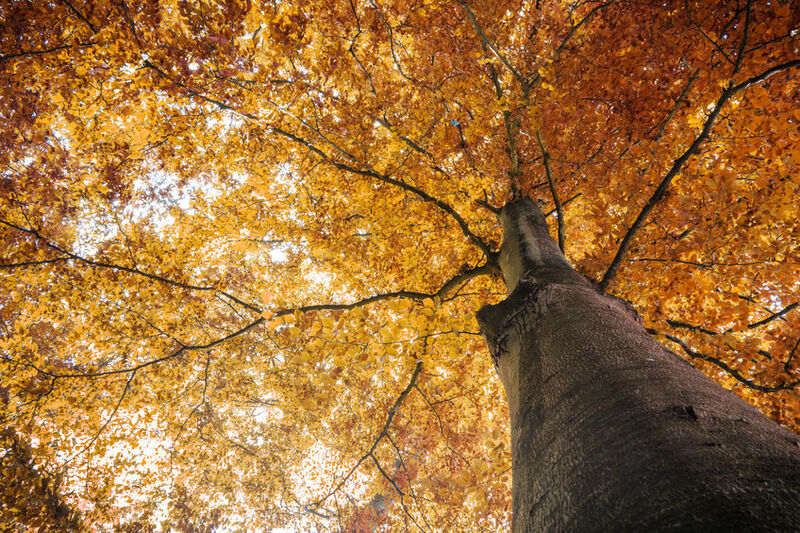 Beech trees grow in a variety of different soil types and can grow up to 100 feet tall. A mature beech tree develops a huge canopy which carpets the forest in a dense shade making it difficult for other seedlings to grow. A beech tree can easily be identified by its unique smooth, silver bark. The bark on the tree is very "clean" and doesn't flake off like other common firewood choices. Splitting a piece of beech with a maul or splitting axe can have mixed results. Depending on the piece of wood, splitting beech firewood can range from easy to moderate. I've split several beech trees by hand without to much trouble. However, some beech trees have a twist in the grain and they don't split very well. For these pieces I find it easier to use a hydraulic splitter. Even though beech is a beautiful wood, it does not have much value for logging. In fact, many homeowners who have their property logged will leave the beech trees standing because of their low commercial value. If left behind, these remaining beech trees could overtake the land preventing other more valuable timber trees from reproducing. Beech is commonly used to produce pallets, railroad ties and some types of furniture. Beech chips are used in the production of Budweiser beer and the wood is also used for smoking meats. The tree produces a fruit called the beechnut which is enjoyed by many different animals. The nut is somewhat bitter and they contain high amounts of tannin. Many mature beech trees have become infected with a disease known as beech bark disease. The disease begins when a beech scale insect attacks the bark of the tree leaving a wound. Two different types of fungi enter the wound and eventually kill the tree. Beech will produce 27.5 million BTU's per cord. Beech is an excellent firewood choice. The dense hardwood burns hot and clean without a lot of sparks. The smooth bark does not flake off which reduces the amount of bark left inside your house or in your yard. If you're thinking about burning beech this year don't hesitate to cut some up or buy some from a local dealer, you won't be disappointed.